Our regular weekly morning gathering is every Sunday at 10:30. We share 'The Lord's Supper' (Communion) on the 1st Sunday of the month & have a less formal meeting called Holy Spirit Sunday on the last Sunday of the month. We don't currently have a Pastor since Rev. Adrian retired, however one of our Deacons, Kim Butcher, is caring for us at Elim March whilst the church is in interregnum. Not been to Church before? Not been to an Elim Church before? Click on the tab What to expect"
Please consider supporting our work in the community by going to Easy Fundraising A donation will be made to us every time you shop if you go to the retailer's website via Easy Fundraising. 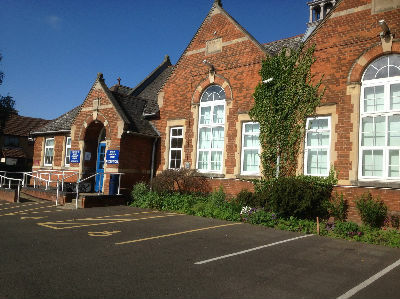 Elim March Community Church is based in the March Community Centre, in the heart of the Fenland Town of March. Our site went live on Tuesday 9th August 2011. A big thank you to all of you who have visited and we look forward to you visiting us again. Please do check back on a regular basis for new and updated information. God Bless.